LMP1s For 2010 And Beyond? One puzzling aspect of the ACO press conference at Le Mans on Friday June 16 was the organising club’s assertion that from 2010, the top category of prototypes would be exclusively for the new coupes: that is, the current LMP1s would cease to be eligible from the end of 2009. 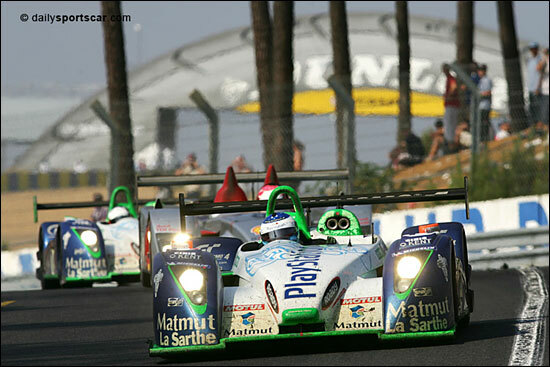 We believe that that situation could be about to change…..
Henri Pescarolo is in a unique position among team owners, in that his local team has been leading the fight against the Audis, notably in 2005 and 2006 – years which saw huge crowds attend the 24 Hours. The ACO has quoted figures of 235,000 in attendance, and the locals do like to see their man in the fight for the victory – so they come out and support “les bleus” in large numbers. “I explained to Monsieur Plassart that for a team like us, just building a new car now, it would be impossible for us to build another new car two years later – to be ready for 2010,” explains Henri Pescarolo. “And a closed car would be 70% more expensive than the current cars. It is too much. “So I told the ACO that if they want us to race in 2010, they shouldn’t have this stupid regulation that everyone should race closed cars. All the current (new) cars should be able to race in 2010, against the closed cars. 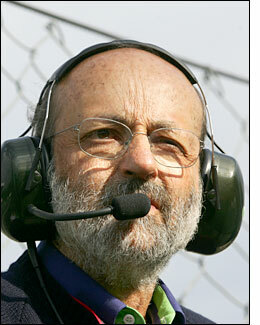 Henri Pescarolo was adamant that some small teams, including his own, would disappear from the scene if they had to build closed cars for 2010. So perhaps, with a little gentle persuasion from the local man, the future pattern of prototype racing, from 2010, will be rather different from that which the ACO originally intended? 2010 seems the ideal time to resurrect the GTP Class name, doesn’t it? “I hope they don’t decide that the coupes or GTPs are more powerful, or something like that,” adds Henri Pescarolo, very quickly. So Henri continues to take his fights to the ACO: he hasn’t really calmed down yet over the current equivalence rules between petrol and diesel-powered cars, but is very clear in his own mind that something has to change for 2008. “If we the team owners stick together, we would be in a stronger position,” adds the Frenchman – while accepting that he is in a stronger position than most. This week is a very significant period in the life of his team, because as we spoke this afternoon, the first of his new, 2007 chassis was undergoing its FIA tests. So there we have it: the team owner, with that rich trail of success (as a driver too of course) behind him is pushing on with his 2007 cars – and, for the first time, those for his customers. And like others with new chassis just coming on stream, he’s hoping that a quiet word with M. Plassart will eventually result in the open LMP1s racing against the closed coupes in 2010 and beyond – with a fair balance between them.. and between petrol and diesel cars. An announcement early in the new year perhaps? One that will bring an end to the uncertainty over the current LMP1s, uncertainty which began on June 16 this year.